Elite Soccer allows aspiring coaches to learn what we do as professional managers to help them improve. I wish I'd had it when I started coaching. The legendary Glaswegian - born Alexander Chapman Ferguson in 1941 - is the longest-serving and most successful manager in British football. Sir Alex accumulated an incredible 49 major trophies in his managerial career. These do not include the Scottish First Division championship he won in 1977 at St Mirren - the second club he managed after a spell at East Stirling. Ferguson - who had played for seven Scottish clubs including Rangers - went on to take charge of Aberdeen where he won 10 trophies in seven years. Aside from three SPL titles, he landed the European Cup Winners Cup with victory over Real Madrid in 1983. Three years later, Sir Alex managed Scotland at the 1986 World Cup following the untimely death of Jock Stein and declined the job on a permanent basis. Instead, he was lured to Old Trafford. After negotiating a difficult transition period, the 1990 FA Cup proved the gateway to glory and an unprecedented era of achievement. Manchester United lifted their first league title for 26 years in 1993 - the first of 12, so far, under Ferguson. United won the league and cup double in 1994 and 1996 before achieving a remarkable treble - including the Champions League trophy - in 1999. Sir Alex was knighted for services to football following that astonishing season which culminated in stoppage time goals from Teddy Sheringham and Ole Gunnar Solskjaer to defeat Bayern Munich at the Nou Camp. Ferguson's team completed a hat-trick of league titles by topping the Premiership in 2000 and 2001. Briefly, he contemplated retirement but has sustained both his hunger and the club's success, claiming the double of the Premiership title and the Champions League - for the second time - in 2008. An enduring formula has been underpinned by Sir Alex's emphasis on developing young talent including Ryan Giggs, David Beckham, Paul Scholes and the Neville brothers, Gary and Phil. His many notable signings have included Cristiano Ronaldo, Eric Cantona, Wayne Rooney and Rio Ferdinand. He has been England's Manager of the Year on ten occasions, the LMA Manager of the Year three times as well as being named Manager of the Decade in 1999. In 2009 Ferguson received a Special Merit Award from the LMA after a season which included the Community Shield, Carling Cup, Barclays Premier League, FIFA Club World Cup and Champions League Final appearance. The league title ensured three back-to-back Premier League titles. In the 2009/10 season, Ferguson again enjoyed success in the Carling Cup, beating Aston Villa 2-1 at Wembley before narrowly missing out on a record of four league titles in a row as Chelsea were crowned Champions on the final day. The following campaign (2010/11), Sir Alex was honoured with the LMA Manager of the Year Award. Ferguson has earned the award as recognition for Manchester United's excellent season winning the Barclays Premier League title, the 12th title of Ferguson's reign, as well as reaching the UEFA Champions League final for the third time in four seasons. This was in addition to reaching the semi-finals of The FA Cup and the quarter-finals of the Carling Cup. The league triumph also set a record in English football as Manchester United achieved the 19th league title in the club's history. In addition to the LMA Manager of the Year, Fergsuon was also awarded the LMA Special Merit Award. During the season, he set two very distinguished personal records by surpassing 2000 games in management and becoming the longest serving manager in Manchester United's history. In 2011/12, Sir Alex surpassed another milestone as he celebrated 25 years in charge at Old Trafford. The following campaign, Ferguson guided Manchester United to their 20th league title by convincingly winning the Barclays Premier League. After his 36th major trophy in 26 years at Manchester United and in his 40th year in football management, taking charge of over 2150 matches, Sir Alex announced his retirement on May 8, 2013. Sir Alex was later awarded the LMA Manager of the Year for a record 4th time as well as the Barclays Premier League Manager of the Year for 2012/13. 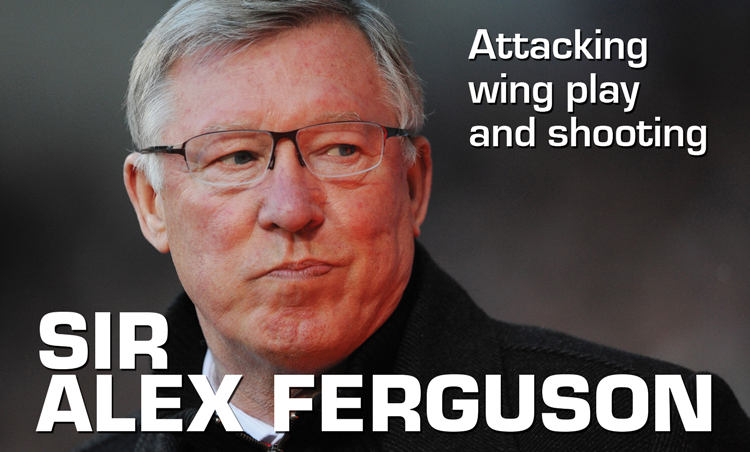 Ferguson is a member of the LMA management committee, having been a long-standing champion of his fellow managers.